1) Seeing cute kids costumes on social media is the highlight of my year. 2) Halloween really kicks off the holiday season, with Thanksgiving only 3-4 weeks away, and then Christmas! I may have said this before, but honestly, if I could dress up in costume at least once a month, I’d be a happy camper. As it is, I get one day a year, plus a couple themed parties if I’m lucky. So, I take full advantage of it. I thought making the tulle skirt was the extent of my craftiness, but I ramped it up a notch this year, buying my first ever glue gun! I’ll be honest, guys, I was pretty afraid to use this new tool. But, it’s remarkably easy. Like, SUPER easy. And I didn’t even burn myself once. 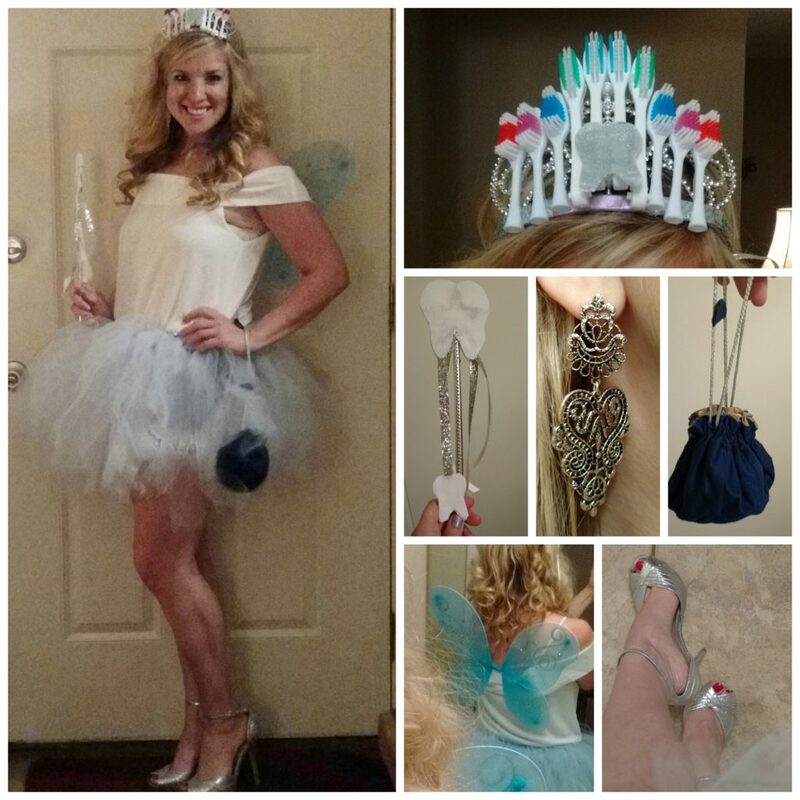 So, with my new crafting skills, a couple pinterest photos for inspiration, and some spare time, I turned a dollar store crown and wand into something fit for the elegant tooth fairy I was becoming. My wings were also from the dollar store, the toothbrushes for my crown from Big Lots (I spent about 6 dollars total on them), and the shirt from a cheap store in the mall (a back-up, because I broke my cardinal rule about buying things online and ordered a shirt from China….maybe I’ll have it by next Halloween). So, altogether, I spent less than $20 and had a super fun costume that got rave reviews from children and their mothers alike. 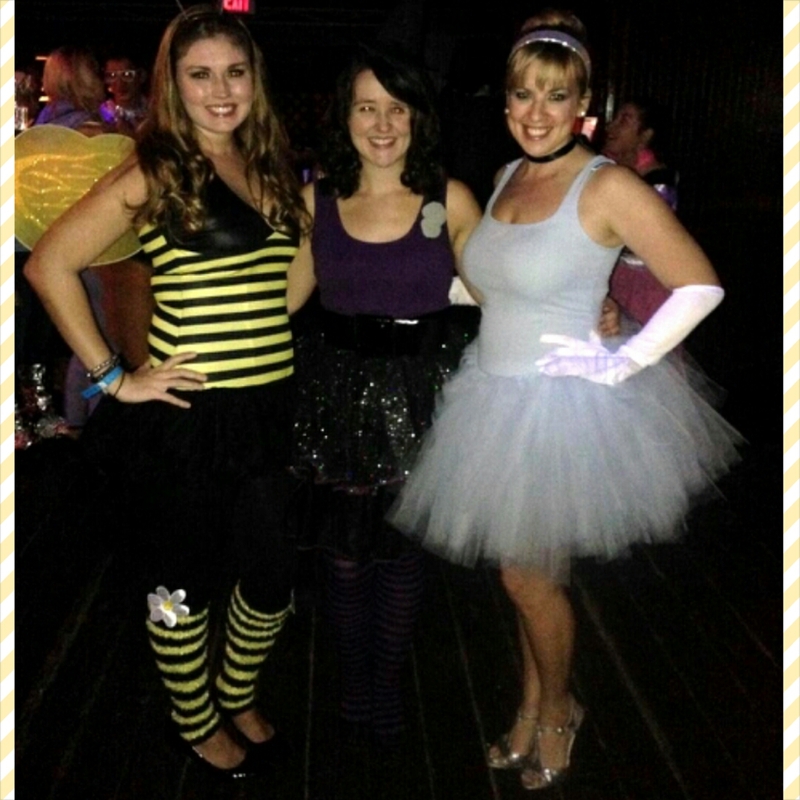 Also, of the 4 other tooth fairies I saw, my costume was the best, if I do say so myself. Did you dress up this year? Or did your kids? What’s your favorite costume that you have ever worn or seen? Do you purchase your costumes, or are you a DIY-er like me (side note: Halloween is oddly the one time of year I try to be crafty. The rest of the year, I figure I can support the economy by paying other people to make things). Be safe everyone, and send me cute costume pictures!